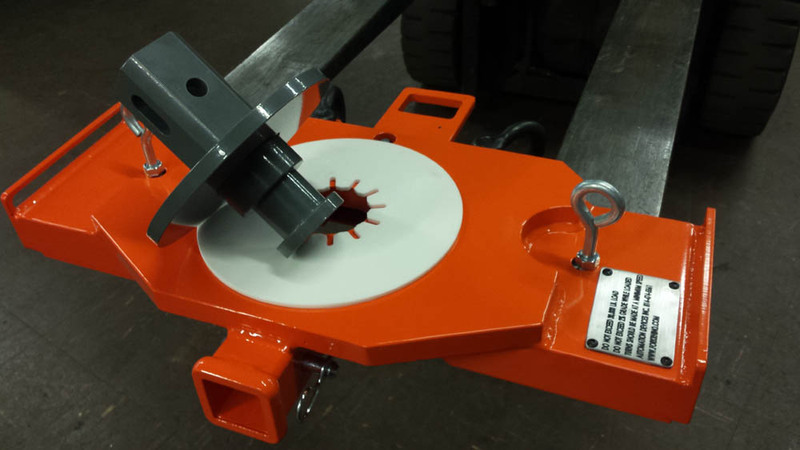 The Gooseneck Rhino can accept trailer ball inserts compatible with gooseneck applications as well other inserts such as the king pin insert. 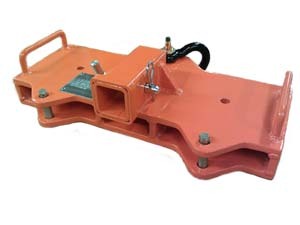 With the reinforced 2-1/2” vertical receiver, this Rhino can be rated for 30,000 lbs. 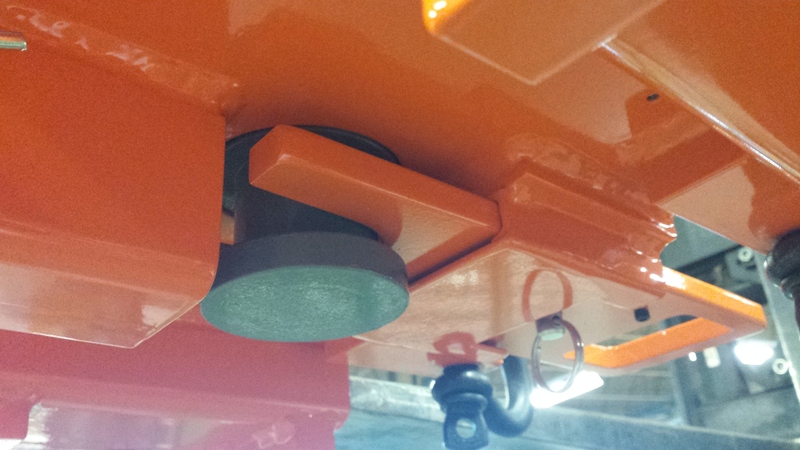 This Rhino also has the standard Reese 2” receiver tube to accept standard ball, pintle or hook inserts. 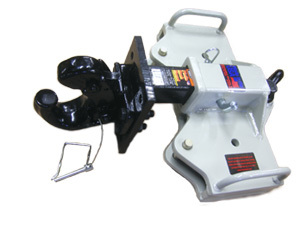 The 5th Wheel Rhino is built to accept 5th Wheel trailers that utilize a king pin. 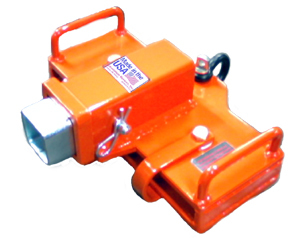 This Rhino is rated for 30,000 lbs and has a lock mechanism to secure the king pin while transporting. 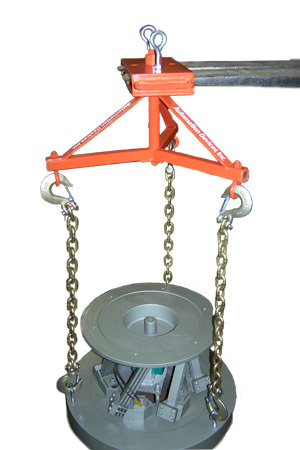 This Rhino can be held onto the forks using ¾” eye bolts (“pinned” method) or by chaining the attachment to the fork lift using 2 included clevis (“shackled” configuration). 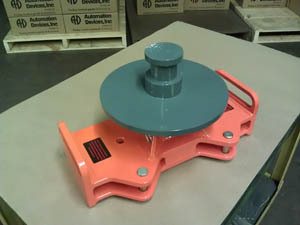 This Rhino also includes a standard Reese 2” receiver tube to accept standard ball, pintle or hook inserts. 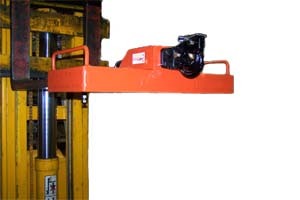 Designed to be utilized along with a forklift to pick up the back end of a semi to be wheelbarrowed into a repair bay. 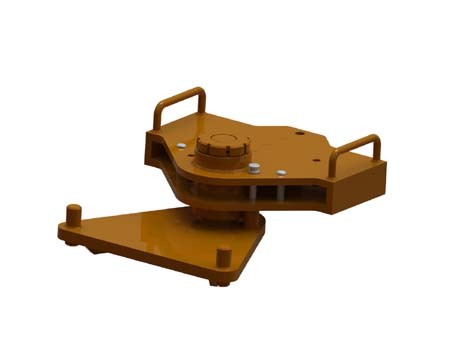 Top receiver insert offers extra versatility. 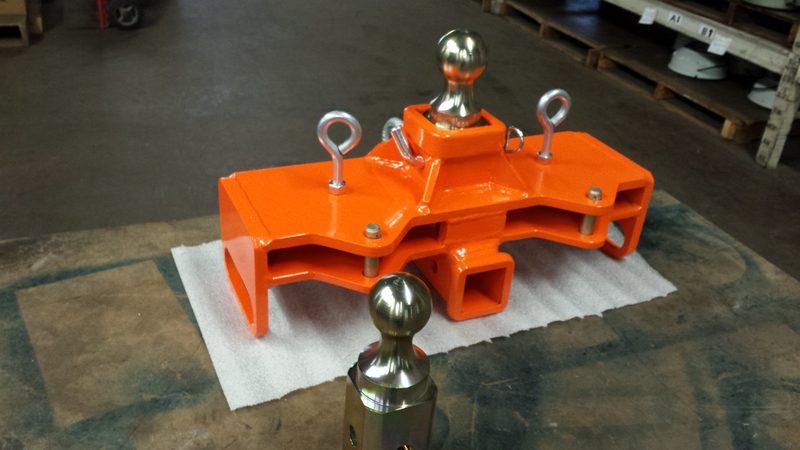 This was custom designed for transporting trailers with a kingpin coupler attachment. 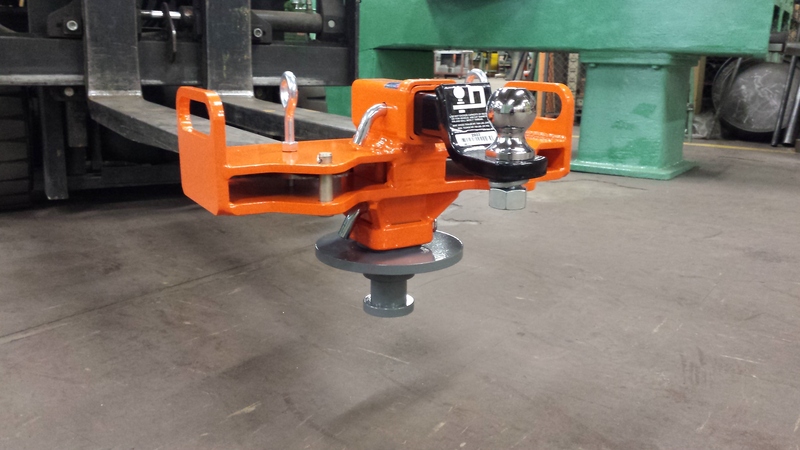 This Rhino was designed to allow an 8 ½” gap between the forks to accommodate a fork limitation on the customer’s forklift. 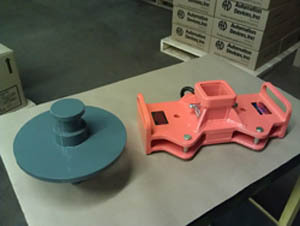 system utilizing a rotating swivel. 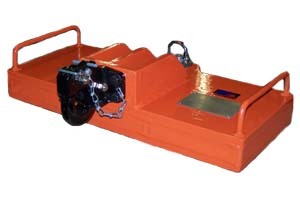 Modified Shackled Rhino Receiver with 10,000 lb capacity hardware. 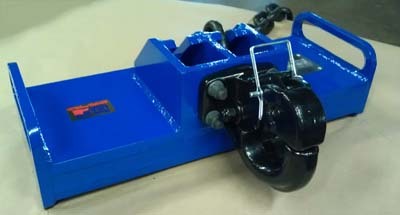 Modified Shackled Rhino Receiver with available accessories. 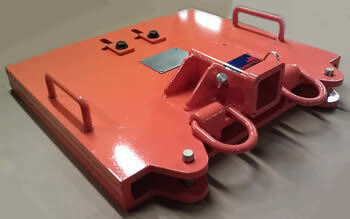 10,000 lb Capacity Rhino Receiver. 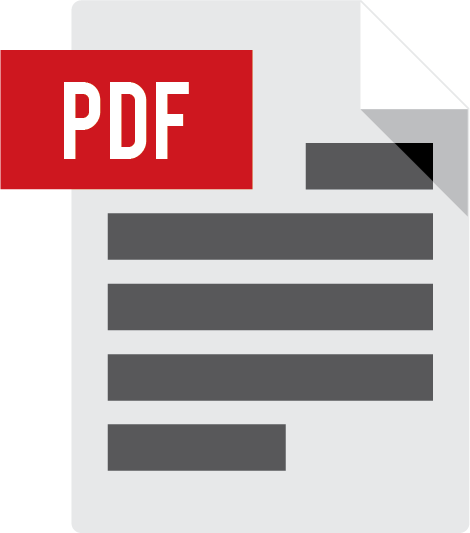 to a standard 2” square receiver. 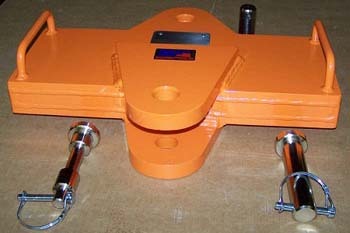 For farm type applications that utilize a drawbar ring type hitch. Rhino Receiver with a 20,000-pound capacity. 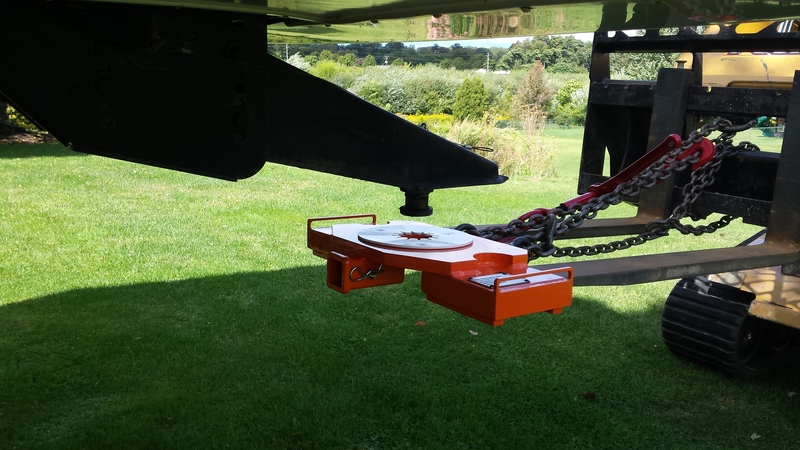 Rhino for pivoting tow applications.